The Halloween breakfast of champions! 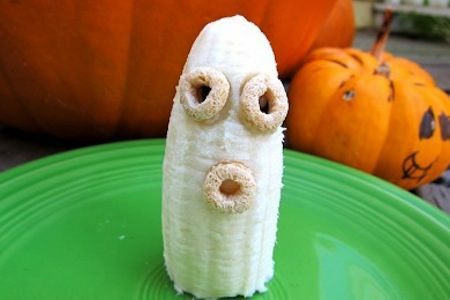 The clever use of a banana and Cheerios makes breakfast so much more fun and festive. 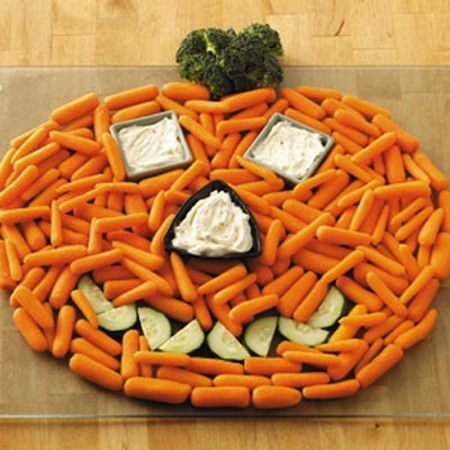 This pumpkin veggie tray has it all! The eyes and nose are used for the dip, and broccoli for the stem. 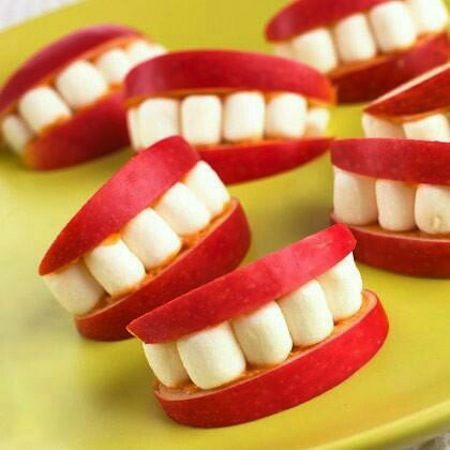 Just arrange it on a large round platter for a Halloween party.